We’re kicking off this episode with an AMA, Ask Me Anything, segment which are essentially interviews where we get a chance to connect with a seasoned consultant and they give you advice. We have Jack H.M. Wong. He’s based in Singapore. He is a former Big Four consultant. He spent most of his career in a Big Four firm then decided to branch out and become an entrepreneur. He’s a speaker. He’s an author. He’s got a book called Cracking the Entrepreneur Code. He gives candid advice. I opened up the podcast and the beginning of this year with this episode because where he was at the crossroads and his consulting career and the decisions he made to branch out on his own resonates with a lot of go-getters that I’ve spoken to. I would like to welcome Jack H.M. Wong to the show. Thank you for making time to join us. How are you doing? Maybe you could take a moment to introduce yourself. My name is Jack and I am from Singapore. In case somebody is asking where Singapore is, it is the center of South East Asia, about 20 to 30 hours’ flight from Boston. I used to work in a Big Four accounting firm. I spent almost eleven years working there. At one time, I decided to jump out of the plane and start my own consulting firm because enough is enough. Life has never been the same since I left the corporate world because every single day is an interesting day as an entrepreneur. The clients that I’m having are constantly giving me challenges. Maybe you can take a moment and talk a little bit about your business. What made you decide to go into it? You have such an inspiring story. Maybe you can just share a little bit more context for us. I work in a Big Four accounting firm. That was my first job. In my time, there’s no issue about getting a job. In fact, I had five offers from then the Big Six accounting firms. When I joined my first employer, I was promised a couple of things. Number one, “If you work hard, if you bill your clients on time, collect the money from them, you’ll get your annual promotion and your increment and in fifteen years down the road, you’ll become a partner of the firm.” I was sold with that idea. After working with that firm for about eleven years, one fine day, maybe of some chemistry or something had turned out that I do not know why, I had an argument with one of the partners in the firm. As a result of that quarrel, in the next six months, I had been let go of the firm. That’s the end of my eleven-year lifetime span in the accounting firm. After this, I moved to an international law firm in Singapore. That was an employee’s mindset, moving from one job to the other job. Sooner or later, I realize that life is totally not balanced. As a lawyer, it’s very good pay, but no life. After working a combined seventeen years, I’ve decided to leave the corporate world and start my consulting business. That’s what I’ve been doing in the past, so it’s very logical for me to start my consulting. I’ve been training professionals for a combined twelve years. My first business is consulting and training for my clients and the professional space in Singapore. I want to go back to when you were in Big Four and you had that situation that happened and you ended up leaving. What was going on in your mind at that time? Situations like that happens to people all the time. The fact that you said you had that employee mindset. You said, “This happened. Let me go find another job.” It will be interesting to hear a little bit more about your mindset then. How did you go from that employee mindset to the entrepreneur mindset? Number one, when I had those quarrels or arguments with the partners, the first question I asked is that, “Have I done anything wrong?” I question myself on that, which is very natural. I have searched within me and I couldn’t find anything that I have done wrong so as to attribute to the fact that we have this argument. I realized that the partner actually subtlety hinted to me that no one is indispensable. It means that no matter how much time, blood, and sweat I put into the firm, I can be very easy to be removed because of a person’s opinion. I have learned what I’ve been told by my parents and by my teachers, the concept of job security and loyalty does not exist anymore. I said, “I have to prove to myself that I need to earn my rights to surviving the firm.” That is the first big lesson I’ve learned in my first eleven years with the Big Four, no job security. I haven’t been exposed to any entrepreneur’s mindset or teachings or logic in Singapore context. Most people will be naturally moving from one job to the other job. I just followed the big crowd, looking for another job, and I was able to find one in the law firm. In the law firm, it’s a very different context. It’s the same professional firm, but the lawyer’s work and the accountant’s work are slightly different. It’s more fun and more interesting. I loved the job very much. It is good pay, but it’s not a 9 by 6 job, it’s actually 24 by 7. I worked around the US clock because the firm is an American-based law firm. I remember one day, even though there is a public holiday in Singapore, I was still working. Wherever I go for a holiday, my partner will ask me, “Are you able to access and check emails?” During that time, there’s no iPhone, so Blackberry. My partner wants to connect with me wherever I go. I only worked in this law firm for five and a half years, and I said, “Enough is enough.” I want some life balanced against the work, and therefore, seventeen years combined, I’ve decided to take a big shift. For me in my profession, if I’m not joining, if I actually decide to leave the law firm, where else can I go? If I’m an employee, an employee says, “I can join any law firm. I can join an accounting firm. 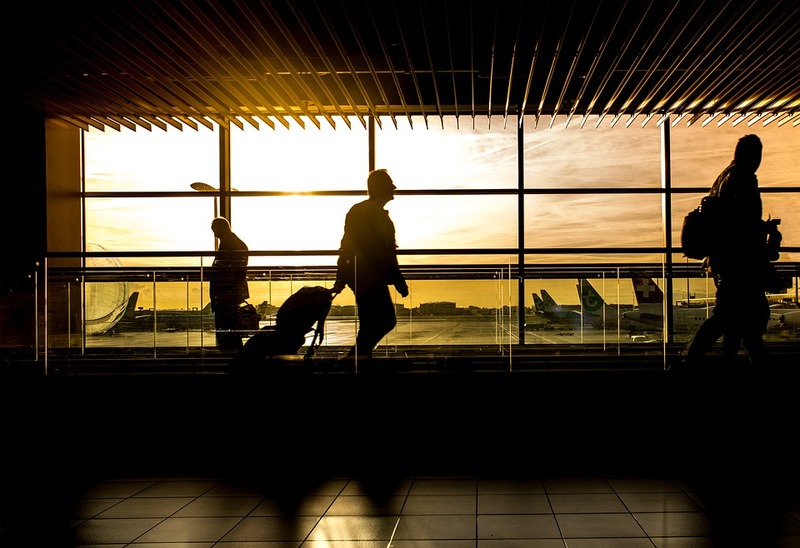 Let me take the chance to leave and work for myself and get out of the rat race.”That’s how I started this entrepreneurship journey back in 2011. I used the term “jump out the plane” not “leave the corporate world” because when I jump off the plane, my mindset has been set that there’s no U-turn because of the law of gravity. I feel like that’s the case of a lot of folks, that they may have gone through something similar, and they may not have taken the chance on themselves. I give you a lot of kudos for seeing the writing on the wall, understanding the theme, and saying, “There’s got to be a better way. 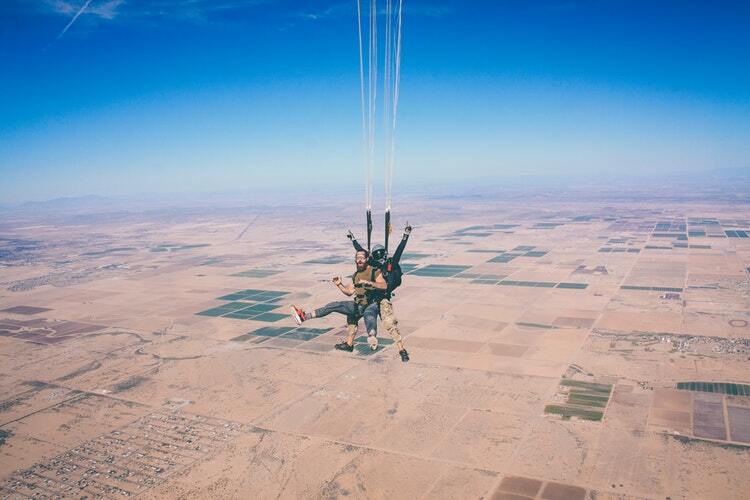 Even if it’s scary, even if it means jumping off of a plane, that’s where I need to go next.”What advice would you give someone that’s going through the same things? Maybe they’re at a crossroads in their career, and they’re trying to make that decision if they stay, if they go and make the leap. What would you tell them to do? Going back to that time when I have to make that decision, I didn’t realize consciously, but now I can actually tell people, “If you were in my situation, you just realized one thing. You have the power to choose. You have the power of choice. You can choose what you want to do.” Instead of having the events show up and force you to make your move, you say to yourself, “I have the power to choose. I can choose to remain as an employee or I can give myself a chance to do something differently.”Once we have the choice, we see the alternatives, we see the outcomes. That will mean that whatever we decide, what our next move is going to be, it’s just more fulfilling, and chances of being right instead of being wrong will be very high. Realize we always have this power of choice. I wanted to talk to you about the gig economy. It’s a buzzword that I’ve been hearing for almost the last year or so. I realized there’s a study that the Prudential company had done recently that states, “About 16% of the US market, of individuals, have become part of this gig economy. Gig economy is a fancy word for micro-entrepreneurship. You’ve made that leap. What’s your definition of the gig economy? How do you see it unfolding in your part of the world? Why is it important for consultants to be aware of it? The concept of having a choice suggests that I can work for a company as a consultant because I have over seventeen years to develop a skill set. My skill set is based on the tax law that happens in international. I’m able to analyze very complex tax problems for my client by giving them very simple solution. That is my core skills. We’re trying to develop in the corporate world. If I am a consultant, if I decide to move on and get out of the present job, I can make a choice. I can use the same skill set and work for another company as an employee. Why don’t I give myself a shot? I can utilize the skill set and take into account the fact that I don’t need to take the pressure by another employer. I’m now the owner, so I can utilize the skill set to be a consultant to start a consulting business to help other clients. It’s the power of choice that I’m mentioning again. How can a consultant prepare to make that switch? If they’re thinking about doing that, what would be the one or two steps that you would recommend that they do, given your journey? Consulting Destiny: I used the term “jump out the plane” not “leave the corporate world” because there’s no U-turn because of the law of gravity. Number one, the mindset is very different. The level of responsibility as a business owner or entrepreneur is very different from an employee. If I screw up on something as an employee, I can always fall back on my boss, and my boss would take the heat from the client. I don’t need to take 100% responsibility as an employee. If I’m my own boss, I have to take 100% or sometimes even more than 100% of the responsibility to make sure that my clients are happy, because if not, I wouldn’t get paid. The mindset of taking 100% responsibility is very mission critical. That’s number one. Number two, knowing that skill set or having the experience of applying the skill set is very important. Once I jumped off the plane and started my own firm, other skills are coming in. I can say because I used to work in a Big Four accounting firm as a consultant and I’m so skillful, when I go out and start my own firm, I will definitely get people on board or get new clients onboard. Unfortunately, the truth is this is not the case. What happened is that I still need to learn other skills. For example, marketing skill is one. The skill of selling and persuasion and negotiation is the other. Communication is the third. Now that I’m a business owner, I’d have to make sure that I know what I pitch, how I pitch, how I present, and make sure I’m able to sell. Such skills set I developed as an employee in the past in my case. They are not developed in the mindset of a business owner. To me, being a business owner requires me to take on further skills in order to be able to survive and thrive in the consulting business. Talk a little bit about your book, Cracking the Entrepreneur Code. When you think about the gig economy, you think about ways on how to build both the employee versus the business owner mindset. Your book tells that story well. Tell us a little bit about it. We are professionals. We are high-skilled people. We’re very proud of us being the best of the best. If I have that mindset as a business owner, then I will not be able to be successful. In the world of business, it’s always about having a team around you. I need to stay vulnerable and ask for help and make request from someone who has done that or has faced the same challenge that I’m facing right now. By asking the person just one thing, I can move my business miles away. It is a very different ballgame, knowing how to make requests, trust other people, put myself in a vulnerable position, and take my pride off as a specialist. That is a very different mindset. This gave me this lesson of asking people how I can get certain things that I need as a business owner. As a business owner, I talked about the leadership style that I have. How do you develop as a leader so that your raving fans, your followers, will exist and follow you? This book has provided a chapter on that. How do you do marketing? Making sure that you are being seen online, offline. You said you have read my website. You’re a bit inspired by what I have said. This is again something that I documented on my book. I like the point about vulnerability. Sometimes that’s what holds people back. They’re scared of putting themselves out there because putting yourself out there is scary. You have to be a little vulnerable in order to make it work. To your point, it does help you take things to the next level. Any last remarks that you want to share on the show? I would say to people who are in my shoes, who maybe facing a problem is, “Never give up. Don’t just quit and throw the towel.” The universe makes no mistake of giving us a challenge. See the challenge as an opportunity and ask yourself this question, “What are the choices that I can make based on the existing challenge?” Stay cool, remain high in intelligence, low in emotion. You’ll be able to see many opportunities around that. That is why this economy right now is so fascinating. Thank you so much. How can people reach you if they want to get a hold of you? What are some of your websites or social media handles? I have a very interesting Facebook fan page, @JackHMWongOfficial. I regularly post stuff there, videos, posts. Whatever I post there is meaningful, it’s relevant to businesses or entrepreneurship. My book, Cracking the Entrepreneurial Code, you can go to CrackingEntrepreneurCode.com. Key in your e-mail address and you’re able to obtain a downloadable version of my book if you like. Finally, JackHMWong.com is my website, which I maintain. The blog post and also some other interesting stuff, you can always check it out there. Thank you, my go-getters. 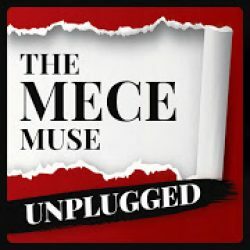 This is Christie Lindor of The MECE Muse Unplugged pop-up podcast. Here’s to your journey to greatness. 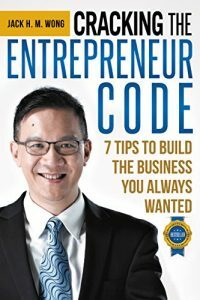 Jack HM Wong is the author of Amazon bestselling book Cracking the Entrepreneur Code: 7 Tips to Build the Business You Always Wanted. He has been featured on CBS News, Fox, ABC News and NBC News. His mission is to improve the quality of lives of over 1 million people worldwide, including employees who are stuck in the rat race by helping them to realize that they can start “any businesses, anyhow, and anywhere” using his 7 principles as discussed in his book to gain money and time freedom. 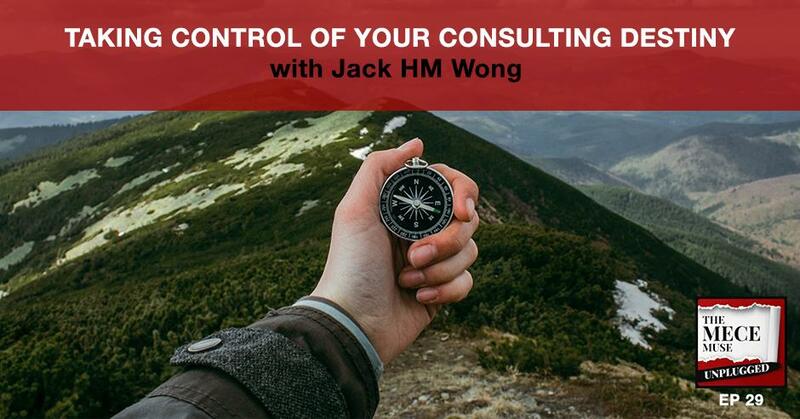 A serial entrepreneur and a business strategist with more than 24 years of international tax experience, Jack’s expertise includes helping other experts (e.g. authors, speakers, trainers and coaches) by turning their brilliant ideas in their head into tangible and viable business structures with proper documentation that are transferable, duplicable and replicable. A sales expert with over 20 years of under fire experience and a Licensed Trainer in Neuro-Linguistic Programming, Jack has also trained over 500 business owners & entrepreneurs worldwide on the secrets, the science and the system on how they can supercharge their sales revenue by up to 300% in 90 seconds or less using a proven system endorsed by San Francisco State University. Jack is the first and only certified trainer, leader and coach of Blair Singer Training Academy (“BSTA”) from Singapore and he has been working with Blair Singer (Rich Dad Advisor for Robert Kiyosaki in sales, team development and personal development) for over 5 years. In sharing BSTA’s mission to improve the quality of lives for everyone through transformation of how education and learning is facilitated worldwide, Jack is passionate about teaching and sharing his experience with his clients and deploys the accelerated learning method. 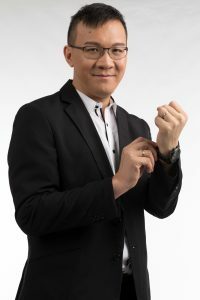 Jack has his Master of Laws degree from National University of Singapore and Master of Business Administration degree from Nanyang Technological University, Singapore, and his Bachelor of Laws / Bachelor of Commerce degree from Murdoch University, Australia.